We wait all week for the weekend, and what better way to spend it than to enjoy a comforting Sunday brunch. And I’ve discovered the best time to visit my favourite cafe is during holiday season when everyone’s out of town and there’s no queue! ♥ Obviously this is a benefit for those of us who dine out alone cos, truth be told, queueing for one is kinda pathetic really. I’m a super huge fan of One Man Coffee’s Gashouse Eggs, but felt like a little something sweet today, so opted for the Brioche French Toast with Caramelised Banana, Salted Caramel & Fresh Cream. Plus ice cream and my favourite side of Candied Bacon! Recalling this sounds a little gluttonous for one person… but I have come to terms with my greediness. This meal didn’t disappoint. 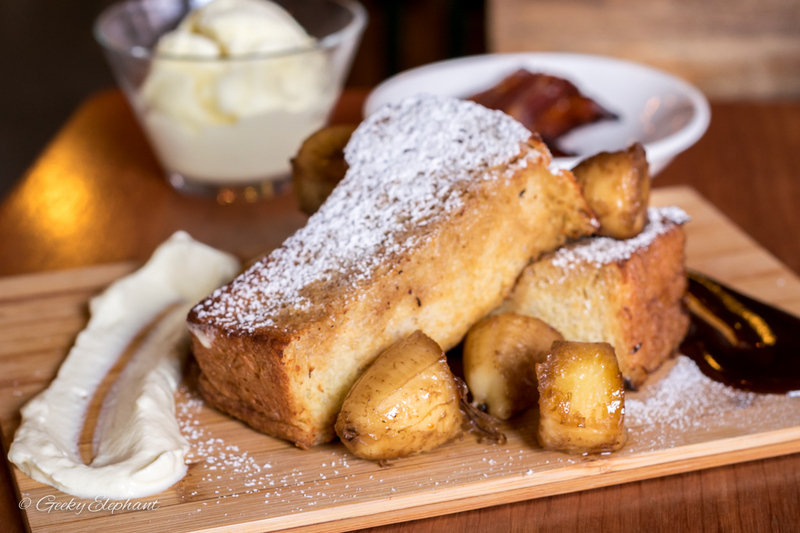 The soft fluffy french toast and sweet caramelised bananas—fruits! I deem this meal healthy! And it goes well with a cup of magic to get the day started. 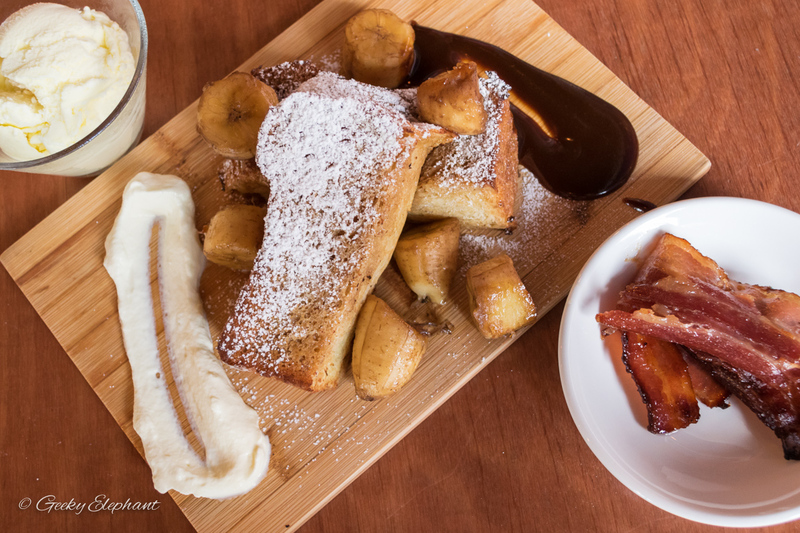 One Man Coffee: Brioche French Toast with Caramelised Banana, Salted Caramel & Fresh Cream. Love this place to bits! I’m bringing Coffee & Cravings back here for another meetup! 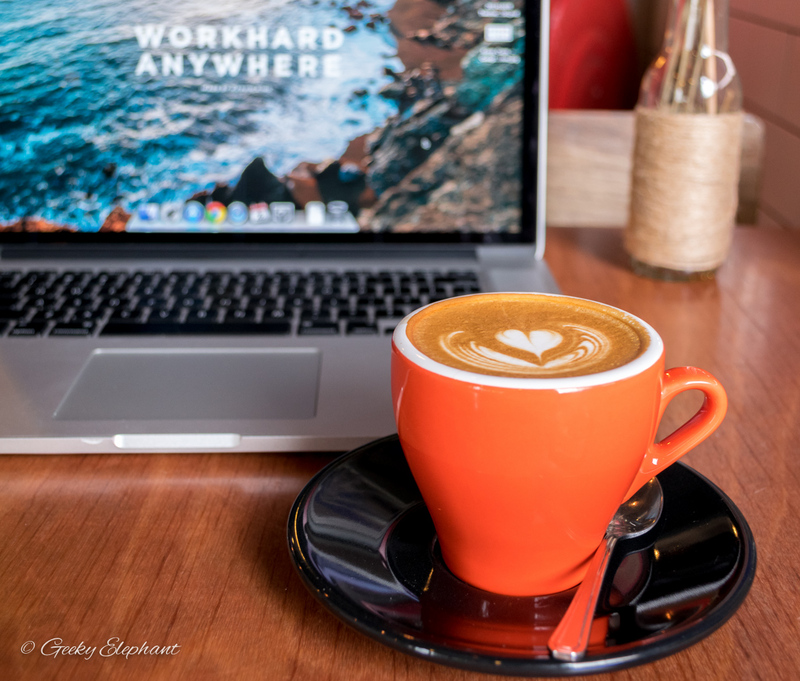 Read my first One Man Coffee post here. 0 Comments on "One Man Coffee: Favourite Sunday Brunches"